"If you ask Dr Zuercher when he first knew that he wanted to be a veterinarian, he’ll tell you that he was 12 years old, but it might have been even earlier. "I always had an interest in medicine and always wanted to work around animals so my career is an obvious fate," Dr. Zuercher says. "I used to be in awe at the veterinarian's office whenever we took our pets in for check-ups. I always thought it would be amazing to be an animal doctor and be around animals all day. After earning his degree as Doctor In Veterinary Medicine from Ludwig Maximilian University in Munich Germany in 1987, Dr Zuercher returned there to earn his PhD a few years later. 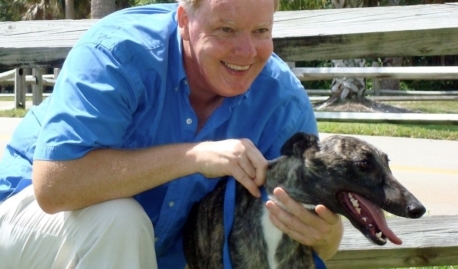 He is a member of both the German and the American Veterinary Medical Associations, the Florida Veterinary Medical Association, and is also qualified to practice Homeopathic Medicine in both countries. His professional interests include internal medicine, surgery, as well as alternative and adjunct therapies such as Homeopathy, and animal behavior. Interestingly enough, over the years, he has often found that once the immediate health crisis has been dealt with, the most rewarding part of his job is experiencing the bond between his clients and their pets. To him, being a vet is about more than just great medicine, it is about family, because our pets are family, and he always strives to treat both patients and clients that way. Building that relationship, and earning the trust it requires, are very important to him. To this end he devotes endless hours to not only to his own continuing education, but his staff’s as well, and ensuring that he sets a positive, dynamic tone at the practice so that all his staff, including front office and management, vet techs and referring medical specialists, pull together to go above and beyond good, to the best that medicine we can provide. As a doctor and a multiple pet owner himself, Dr Zuercher knows that the relationship that a pet owner forms with their pet is an unbreakable bond. At home he currently has three rescue dogs. When he is not working with animals, which he also does after hours through our many rescue activities as well, Dr Zuercher is a passionate gardener, enthralled by the amazing creative opportunities offered by living in tropical Florida.